They belonged to another century, yet their struggles are our own—finding our niche; coping with failure; living with impossible people; and changing when we realize that we are the impossible one. These humble seekers, called to live together in brotherhood, discover in the daily rhythm of their work and worship that the whole of life is a love story about a tender and passionate God. Rich with imagery and emotion, their tales depict love in action, and love given in the most trying of circumstances. 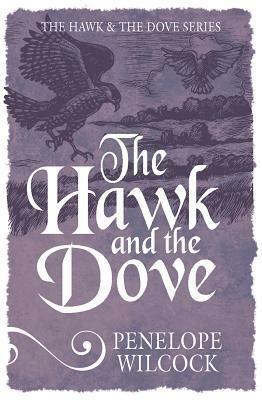 This series of books (The Hawk and the Dove, The Wounds of God, The Long Fall) had me from the first few sentences. I started reading and I couldn't put them down. It's pretty well known that I'm a lover of historical fiction, but I admit that I wasn't sure how I'd feel about this series. Well, as you've already discovered, I loved it. The writing was down to earth and opened me up to a world that I'd never really experienced before. It's not often that I get to delve into the lives of monks living back in the 14th century and honestly, I'm hoping that I get another chance at another time. I received copies of these books for the purpose of this review. All thoughts, comments, and opinions are my own.